Within Southern California’s boundaries are two major world cities, Los Angeles and San Diego, as well as three of the country’s largest metropolitan areas. Los Angeles is the most populous city in California, and the second most populous in the country. Los Angeles, Orange, San Diego, and San Bernardino, and Riverside Counties are among the top fifteen most populous counties in the United States and the top five most populous in California. The region is also home to Los Angeles International Airport (LAX), the third busiest airport in the United States by passenger volume and second by international passenger volume. Southern California is also the entertainment capital of the world and is home to Hollywood, the center of the motion picture industry. 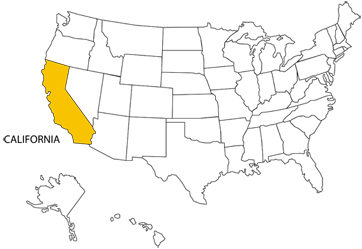 Southern California consists of a heavily-developed urban environment, home to some of the largest urban areas in the state, along with vast arid areas that have been left undeveloped. It is the second largest urbanized region in the United States, second only to the Washington/Philadelphia/New York/Boston Northeastern Megapolis. Whereas these cities are dense, with major downtown population and significant rail and transit systems, much of Southern California is famous for its large, spread-out, suburban communities and use of automobiles and highways. Southern California is home to many major business districts. Central business districts (CBD) include Downtown Los Angeles, Downtown San Diego, South Coast Metro and Downtown San Bernardino. Within the Los Angeles Area are the major business districts of Downtown Burbank, Downtown Santa Monica, Downtown Glendale and Downtown Long Beach. Los Angeles itself has many business districts including the Downtown Los Angeles central business district as well as those lining the Wilshire Boulevard Miracle Mile, including Century City and Westwood. Orange County is a rapidly developing business center that includes Downtown Santa Ana, the South Coast Metro and Newport Center districts; as well as the Irvine business centers of The Irvine Spectrum, West Irvine, and international corporations headquartered at the University of California, Irvine.